This procedure ist identical for iPad and iPhone. 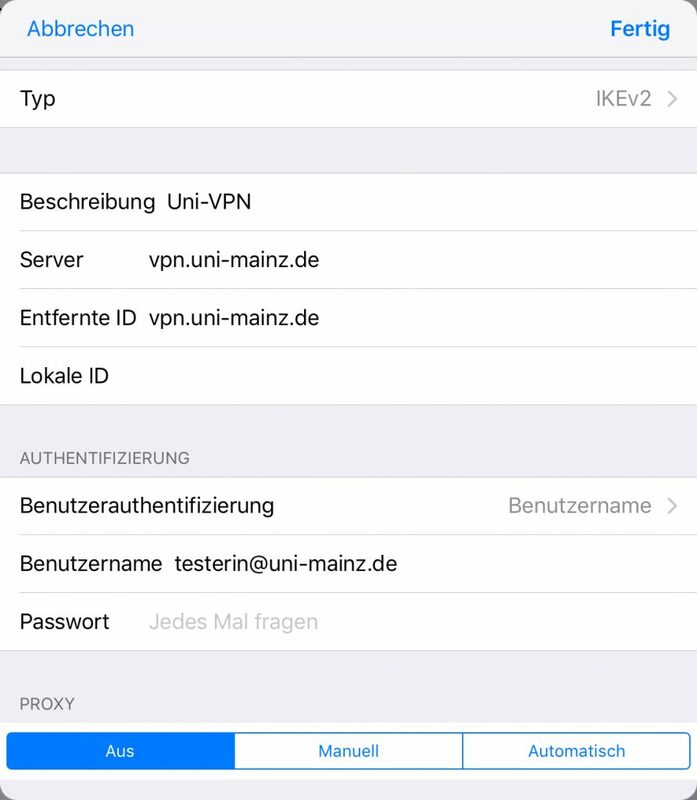 Tip at VPN hinzufügen (if you already have a VPN configuration for the campus network, please deletet it). The input field 'Lokale ID' must remain empty. Now the VPN connection is established. Tip at Fertig. Now you may use VPN in addition to your normal internet connection. To do that, tip at Einstellungen -> VPN and push the Regler next to Status to the right.